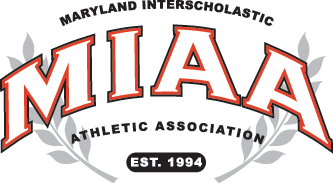 Prior to moving up to the MIAA A Conference prior to the 2017 season, John Carroll enjoyed a great rivalry in the MIAA B Conference with Archbishop Curley and the Patriots and Friars renewed their battles, Tuesday in Bel Air, as the Patriots won their season opener, 5-2. The defensive struggle saw just one goal scored in the second half, as John Carroll advanced a 4-2 lead to the its final margin of victory. The Patriots dominated time of possession, with Jordan Remeto winning 8-of-10 draws, but JC had a hard time solving a stubborn Curley defensive effort. Jake Gottshalk led the offense with two goals and Jacob Lots made sure the Patriots could prevail with their five goals, as recorded 19 saves. The Patriots scored all four of their first half goals in the opening quarter, then Curley (1-1) battled back with scores from Nate Rollins and Scott Kahl in second quarter. Kahl also added an assist, as did Paul Lewis. Sean Roesener made seven stops in the Friars’ cage.